I am trying to run a report which returns ItemInventory where LastReceived is NULL I have tried in vain to accomplish this. My question is what syntax do you use to select a blank/null date or is there a special function for this? 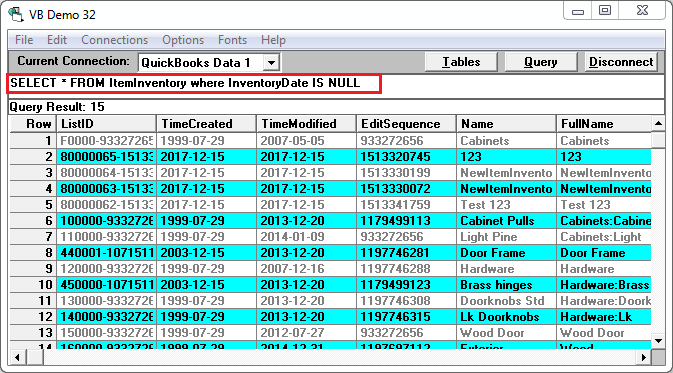 You can select blank/null date by using "IS NULL" in your query. 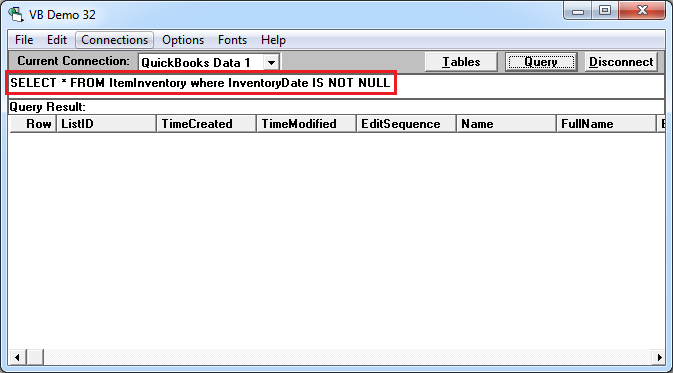 The same way you can use "IS NOT NULL" in your query.